Many thanks for AirAsia, last year we managed to purchase two zero fare tickets to Langkawi Island. We departed at LCCT on 3rd September 2011 at 1.20pm. We had booked One Helang Hotel through Agoda.com for RM139 per night with free breakfast. 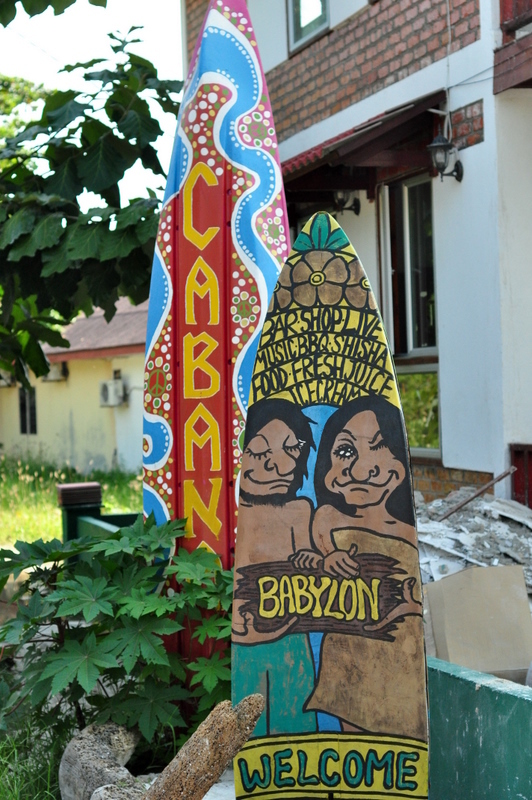 Once we arrived at the Langkawi Airport arrival hall, there were masses of car rental and tour agency awaits you. We asked around a few booth and managed to rent a relatively new Viva Elite for RM60 per day through Indra Travel & Tours Sdn Bhd. After we checked-in and placed our luggage, we headed to Cenang Beach to scout for tour package. The entire stretch of shoplots at Cenang Beach are full of tour agency and we surveyed almost half of it. We finally chosed Best Star Holiday Sdn Bhd. They offered us RM30/pax for Island Hopping and RM90/pax for Mangrove Tour at KILIM Geoforest Park. Once the payment is settled, we take a stroll down the Cenang Beach. 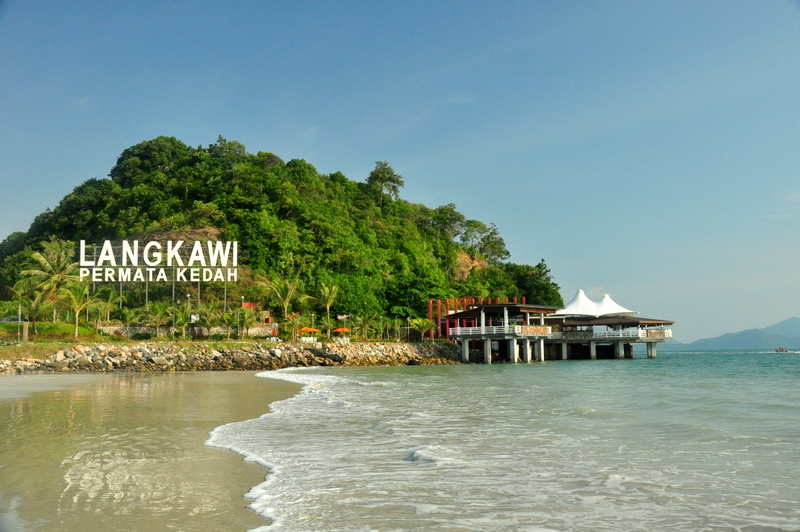 This is by far the most happening beach in Langkawi where you can find all the watersport available. Bars and restaurant is also within easy reach. During the evening, we drove to Kuah Town and visited the Eagle Square. Unfortunately the giant Eagle was under repainting, thus we are not able to take a nice picture of it. Jetty Point is just round the corner and we popped in to have a look. There are some souvenir shops and Starbucks, Kenny Rogers, 7-11 and KFC there. We had KFC as our dinner and then found this agency named Shah Kawi Holidays Sdn Bhd that sold cheaper entrance tickets for Underwater World. It will cost Malaysian RM28 if you purchase on the site, however this agency is selling at RM25. We had tried it, and is legit. Read more at Langkawi Trip : Day 2 Mangrove Tour.